Easter Mass on Holy Saturday: 8 p.m. Please note that no other masses will be celebrated on this day. Easter Sunday: Sunrise mass will be at 5:30 a.m. at Holiday Beach in Center Moriches. Easter Sunday masses will be at 7 a.m., 9 a.m., 11 a.m., and 1 p.m. in the Church. 11:15 a.m. is the bilingual Spanish/English mass in the auditorium. The 5:30 p.m. mass will NOT be celebrated on Easter Sunday. Almsgiving in Lent During the Lenten Season we are asked to pray, fast and give alms. Lent is a perfect time for us to pray for those in need - whether it is for their material, emotional or spiritual needs. And when you practice fasting and abstinence during these forty days, please remember those of our neighbors who are hungry and consider sharing your gifts with them. One good way to do this is by making a gift to the Catholic Ministries Appeal, which supports programs that help feed people in our community each year through both Catholic Charities and our Parish Outreach Centers. 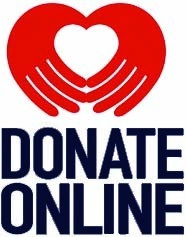 To make a donation, you can also visit https://www.drvc.org/CMA or call us at 516.678.5800 ext. 296. Come to the quiet: The church building is open from 6:30 a.m. to approximately 7 p.m., if not later, each night. Seton Chapel, in the white convent building, is open around 8 a.m. and also remains open to approximately 7 p.m. Take some time to open your heart to the voice of God. Sunday masses: Saturday vigils are at 5 p.m. and 7:30 p.m. (Spanish mass). Sunday: 7:30 a.m., 9 a.m., 10:30 a.m., noon and 5:30 p.m. Weekday masses: Monday through Friday: 7 a.m. and noon. Saturday morning: 8 a.m. Seton Chapel: Tuesday: 7:30 p.m. (Spanish). Seton Chapel (located in the Convent building – The White House): Seton Chapel is open each day from 7 a.m. until the early evening. We gather in Seton Chapel for Exposition of the Blessed Sacrament Mondays – 3 p.m. to 9 p.m. Thursdays 1 p.m. to 5 p.m. Fridays – 8 a.m. to 11:45 a.m. mass – in Spanish – Tuesdays 7:30 p.m. Liturgy of the Hours (beginning in Lent) Mondays – Midday Prayer – 3 p.m. Night Prayer – 8:45 p.m. Thursdays – Midday Prayer – noon, Evening Prayer – 4:45 p.m. Fridays – morning prayer – 8 a.m. midday prayer – 11:45 a.m.
Stations of the Cross (this Lent): we will celebrate the Stations of the Cross at 10 a.m. on Thursdays (Seton Chapel) and 7 p.m. on Fridays (Church). Come and know God’s mercy: The Sacrament of Reconciliation is celebrated every day after daily mass in the church. The sacrament is also celebrated in the church on Saturdays from 4 p.m. to 4:45 p.m. and from 7 to 7:15 p.m. (Spanish). Confessions are also heard on Sundays from 5 p.m. to 5:15 p.m.
Come and know God’s healing of the sick: Please contact the rectory (631.878.0009) for a priest to celebrate the Sacrament of the Anointing of the Sick with the seriously ill or those preparing for surgery. Please also let us know if a loved one is sick so we can pray for them at mass and list their name in the bulletin. Come and spend some time with the Lord: Exposition of the Blessed Sacrament takes place in Seton Chapel on Mondays from 6:30 p.m. to 9 p.m. and on Thursdays from 1 p.m. until 5 p.m.
Come to know Mary, Our Lady Queen of Apostles: Rosary - We pray the Rosary every day after daily mass in Our Lady’s Chapel in the church building. Mondays we pray the Miraculous Medal Novena after the 7 a.m. mass in the church building and at 7:30 p.m. in Seton Chapel in the convent on most Mondays, with the exception of holidays and whenever the parish is closed. Traditional Latin mass schedule: While we do not celebrate the extraordinary form of the mass here at St. John’s, those who wish to attend that liturgy may do so at the following times and places: Sundays at 3:30 p.m. at St. Isidore’s, Riverhead. Sundays at 12:30 p.m. at St. Matthew’s, Dix Hills. Sundays at 9 a.m. at St. Ladislaus, Hempstead. Sacrament of Reconciliation (Confession): At St. John’s we celebrate the Sacrament of Reconciliation daily. During the week, we celebrate the sacrament after the 7 a.m. and noon masses. Generally, the priests will be in the IHM Meeting Room or the chapel area of the convent. He will wait or be around for 10 minutes after the last person has come. On Saturday and Sunday evenings, confession are heard in the Youth Ministry office (near the main entrance of the auditorium) or in the back of the auditorium itself. Of course, you can - and should - approach one of our parish priests whenever you want to celebrate the sacrament. Rectory (Parish office) hours (the Blue House on Ocean Avenue): It is here where you can make appointments to meet with one of our priests, pick up a mass card, drop off materials and is usually a good “first stop” when at SJE. We seek to be as present as we can to those who come to our doors. We are open from 9:30 a.m. to 9 p.m. from Monday to Thursday and 9:30 a.m. to 2 p.m. from Friday to Sunday. We close from noon to 1 each day to give our staff some free time. Phone numbers: 631.878.0009. Fax: 631.874.2466. Church Address: 25 Ocean Avenue, Center Moriches, New York, 11934. Office of Faith Formation: Located in the Red Barn: 631.878.4141. Office of Youth Ministry: Located in the OLQA school auditorium lobby. Parish Outreach: Located in the Red Barn: 631.874.3617. Happy Easter: Our Faith Formation staff wish you a blessed Easter! Thank you to everyone who has been so instrumental in encouraging and guiding our young people in the faith! Incoming 1st Graders / New Students: Registration Begins June 10! St. John the Evangelist’s Religious Education program serves our parish youth, beginning in First Grade, and their families as they grow in faith and prepare for the Sacraments. Registration for the 2019-20 academic year will begin on June 10. Those who are entering Grade 1, as well as those with children who may not have been in religious education for awhile, are welcome to register this June. Please note that formation for all Level 1, 2, 3, 4 and 7 students, as well as our Heritage program, takes place in-parish (no home study). To register in our Faith Formation program, please bring a copy of the child’s baptismal certificate (or a copy of their birth certificate if they were not baptized). Please also be sure that you are a registered member with our parish. If you aren’t already, please contact the rectory at 631.878.0009. Help Wanted: Can You Give Back? Are you looking for a way to serve our community? Serving more than 1,500 students, we are always in need of parishioners to teach our young people the faith. You don’t have to be a theologian-simply have a desire to share the faith and relate it to our youth. Can’t make a weekly commitment? Perhaps you can be part of our substitute catechist group! If you are interested, please contact Michelle at 631.878.0009, ext. 5 or via email: mpirraglia@sjecm.org. Confirmation Retreats: Retreats are held from 2 p.m. - 5:30 p.m. when there is a mass (mass is part of the retreat). Sign-in in the main lobby of the school. Date: Sunday, May 5 is for 8S (Home Study), 8P (Catholic school students). RCIC: Rite of Acceptance: Are you an adult interested in receiving the sacrament of Confirmation? If you are a baptized Catholic, but have not been fully initiated, we offer a process for those who desire to receive the sacrament of Confirmation. For adults who desire more information, please fill our this letter of interest form first. For teenagers and their families who desire more information, contact the Faith Formation Office at 631.878.0009, ext. 170 or email to faithformation@sjecm.org. Do you want to be baptized? Do you want to become a member of the Catholic church? What are you waiting for? What about you or someone you know? We are in the process of forming a new group of those interested in becoming Catholic. If you are not baptized or were baptized in another Christian faith, please contact Fr. John Sureau or Suzan Fitzpatrick to be part of our next group of inquirers (those who are interested in learning more about the Catholic Church). You can reach us at 631.878.0009 or via email to jsureau@sjecm.org or rcia@sjecm.org. Students expressed why they desire Baptism and their parents / sponsors promised to support them in their formation. Please continue to pray for our catechumens as they take their next steps toward full initiation into the church. Se busca ayuda: se puede devolver? Estás buscando una manera de servir a nuestra comunidad? Al atender a más de 1,600 estudiantes, siempre necesitamos feligreses para enseñarles a nuestros jóvenes la fe. No tiene que ser un teólogo, simplemente tiene el deseo de compartir la fe y relacionarla con nuestra juventud. No se puede hacer un compromiso semanal? Quizás puedas ser parte de nuestro grupo de catequistas sustitutos! Necesitamos particularmente catequistas bilingües para ayudarnos, particularmente con la preparación Sacramental! Si está interesado, comuníquese con Michelle al 631.878.0009, ext. 5 o por correo electrónico: mpirraglia@sjecm.org. Ready to be challenged and fulfilled. If interested, please send a resume to jsureau@olqany.org. New SJE Website Coming Soon! Dear Parish Family: As I write this letter, we are two days away from the Holy Week/Easter vacation. I am privileged to serve as the Principal at the Catholic School in Center Moriches, Our Lady Queen of Apostles, as well as the Pastor of St. John the Evangelist. (It’s a long story but take some time to read more about OLQA on pages 2 and 7.) More. We are in the midst of the days of the Divine Mercy Novena, which began on Good Friday. Pope Saint John Paul the Great said, “There is nothing that man needs more than Divine Mercy …which raises man above his weakness to the infinite heights of the holiness of God.” In her Diary, Jesus told St. Faustina, “I desire that during these nine days you bring souls to the fountain of My mercy, that from there they may draw strength and refreshment and whatever grace they need in the hardships of life, and especially at the hour of death” (Diary, 1209). While the Chaplet can be said anytime, the Lord specifically asked that it be recited as a novena, promising that “By this Novena (of Chaplets), I will grant every possible grace to souls” (Diary 796). Pamphlets will be made available to those who are interested in praying the Divine Mercy Novena. Our special activity schedule for Divine Mercy Sunday – April 28th is as follows: -12PM Parish Mass with the Solemn Blessing of the Image of Divine Mercy -Eucharistic Procession to Seton Chapel immediately following 12PM Mass -Solemn Exposition of the Blessed Sacrament in Seton Chapel from 1-4PM with Confessions available. The Chaplet of Divine Mercy will be recited at 3PM, the Hour of Mercy. Please do not park on Ocean Avenue when attending mass at SJE. It has become a traffic hazard and, I’m sure, a bother to our neighbors. St. John’s has plenty of parking –on the north side of the Church, behind the Church, on St. John’s Place (in marked spots only please) and the school parking lot. Please make use of those spaces. Random act of kindness thought: If you’re able, park further away. Keep the parking spots closer to the Church for those who might find walking a challenge! Good Friday: April 19: Morning prayer is at 9 a.m. in the Church. The children’s liturgy is at noon in the Church. The Solemn Liturgy of the Lord’s Passion is at 3 p.m. in the church. Confessions will be heard from 5 p.m. to 6 p.m. in the Church. Our outdoor stations of the cross will begin at 6:15 p.m. Today's night prayer will be at 8:30 p.m. in the Church. Morning Prayer 9 a.m.—Church—Presider: Joe Catafago: On this holy and solemn morning, we come together to hear God’s Word, chant the psalms and unite as we prepare to recall the death of Jesus this day. A member of our community will offer a reflection at this liturgy. Children’s Good Friday Prayer Service at noon in the Church. Presider: Fr. John: Once again, the children of our parish lead us in prayer as we recall Jesus’ death and are reminded of his great love for us! During this service, we’ll listen to the story of the Passion as led by our parish’s third graders. Then, we will come forward and touch (or adore) the cross. Solemn Liturgy of the Lord’s Passion- 3 p.m.—Church – Presider: Fr. Felix: This solemn service brings us to the Passion of Jesus through the Word. We’ll listen to some of the most profound readings of the Church year. We will behold the cross on which hung the salvation of the world. We will gather around the Table to receive the Eucharist. Following the Liturgy, all are invited to adore the holy cross. Confessions- 5 p.m. to 6:00 p.m. in the Church with Fr. John. Outdoor Stations of the Cross at 6:15 p.m. with Fr. Michael. Led by our Spanish community, we will journey throughout the local streets remembering Jesus’ walk to Calvary. We will begin and end at the church entrance. Holy Saturday: April 20: Morning prayer (blessing of Easter Foods immediately following) is at 9 a.m. in the church. Confessions are from 4 p.m. to 5 p.m. in the Church. 8:00 p.m. is the Easter Vigil in the Church. Please note that the 5 p.m. Saturday and 7:30 p.m. Spanish masses will not be celebrated today! The only mass on Saturday evening is the Easter Vigil. Morning Prayer + 9 a.m. —Church + Presider: Dcn. John: On this holy and solemn morning, we come together to hear God’s Word, chant the psalms and unite as we wait at the empty tomb. The Blessing of Easter Foods will take place at the end of Morning Prayer. The Easter Vigil in the Holy Night + 8:00 p.m. —Church + Presider: Fr. Michael: We will gather together at 8:00 p.m. outside the doors of the Auditorium and bless the new fire and Paschal Candle. We will be led by the light of the Paschal candle (the symbol of the Risen Christ) into the darkened Church spreading among us the Light of Christ. (If you do not wish to be part of the procession, we ask that you remain in the Church.) The Easter Vigil is one of the most beautiful services of the entire liturgical year. During the Vigil, we celebrate the Paschal Mystery – Jesus Christ has gone through death to new life – in a most prayerful and spirit-filled way! The Easter Vigil is much more than just “Easter Mass” – it is the heart of who we are as the people of God. We are renewed because we hear God’s Word, renew our Baptismal vows, celebrate the Easter sacraments with the Elect of our parish and share in the gift of the Eucharist. Easter Sunday: April 21: Sunrise mass is at 5:30 a.m. at Holiday Beach in Center Moriches. Then Easter masses will be at 7 a.m., 9 a.m.,11 a.m., and 1 p.m. in the Church. 11:15 a.m. is the Bilingual Spanish/English mass in the auditorium. The 5:30 p.m. mass will NOT be celebrated on Easter Sunday. Good Friday: Special collection: On Good Friday, our parish will take up the annual Good Friday Collection for the Holy Land. Please help support our brothers and sisters in the Holy Land by giving to the Good Friday Collection. This Pontifical Collection allows the Franciscans and others to continue caring for Christianity’s holiest sites and for God’s people in the Holy Land. Your Good Friday Holy Land Offering envelope should be placed in one of the baskets as you enter or leave the church on Good Friday. No formal collection will take place. Baskets will be left at the doors of the Church to receive your offering. Thank you for your attention to this, and for your generosity in supporting the churches in the Holy Land. Abstinence and Fasting On Good Friday: All Catholics who have reached their fourteenth (14th) year are bound to abstain entirely from meat on Good Friday. All Catholics between the ages of eighteen (18) and fifty-nine (59) inclusive are also bound to observe the law of fast on Good Friday. This means limiting oneself to a single full meal and avoiding food between meals. Two other light meals, which together do not equal a full meal, may be taken during the day. Those whose work or health would be impaired are excused from fast and abstinence. Individual conscience should decide proper cause for excuse, but keep in mind that a serious reason is required to excuse oneself from Good Friday fast and abstinence. This Paschal Fast is to be considered sacred and, if at all possible, consideration should be given to prolonging it through Holy Saturday as a way of coming, with spirit uplifted, to the joys of the Easter season. 2. Each of us is a little word of the Word of God, a mini-incarnation of divine love . . . it means letting go of our control buttons. 3. The choices we make for the future will determine the future. 4. We must go through the pain of disorder to grow up and switch our loyalties from self to God . . . Life and death are not opposites. They do not cancel each other out; neither do goodness and badness. There is room for everything to belong. Thank you to all who attended the Stations for Seniors. Those who came really seemed to appreciate the uniqueness of them. Perhaps the good news of their success will encourage more to come next year because as many expressed, “They really spoke to me; each week I seemed to understand more than the week before.” What else is new? We will begin another session for those who have experienced the loss of a loved one; we call it Bereavement Support. These sessions work best when there are at least 4 or more participants. After the initial loss, most people need several weeks before the “need” becomes apparent. We use a Journal book authored by a religious Sister who really understands personal loss and offers an excellent way to learn to live with this loss. • Sophia’s Circle—2nd and 4th Thursdays of month at 10:00 a.m., book discussion suited for seniors. • Spring date to Mohegan Sun /Foxwoods to be announced shortly! • Last play at St. Joseph College—BREAKING LEGS, April 26, 27, May 3, 4, 10, 11: at 8 p.m. and April 28, May 5, 12: at 3 p.m. All Seniors 65+ $12 (General admission $15) Synopsis of play: The action takes place in an Italian restaurant owned by a successful mobster and managed by his beautiful daughter. The daughter becomes enamored of the playwright, who is delighted to have the family’s support. His bubble is burst when he discovers, through the “accidental” death by train of a lesser thug, that his backers are gangsters. In madcap situation murder and menace are served up with plenty of pasta and laughter. IF YOU WANT ME TO ORDER A TICKET, PLEASE CALL/ BRING MONEY AND NUMBER TO THE BARN. Please call in advance. If you would like to go but need a ride, please call S. Ann (631.878.0009 ext. 127) If I’m not in the Office, please leave your name and phone number and I will return your call. Oh no… Seminarian Joe is on the Go! FAREWELL MASS AND CELEBRATION Saturday, May 11 at 5 p.m. Mass then reception to follow. It’s hard to believe that the term of our Pastoral Year Seminarian is coming to an end in a few weeks. Over the past year, Joe has become a vital and essential part of our parish community. His gentle spirit and presence has made our parish an even more vibrant example of the “community of disciples”. We are forming a working group to plan and organize this event for the parish. The first planning meeting will take place on Monday, April 29 at 7:30 p.m. in the auditorium. Next Sunday, April 28, after 5:30 mass. Place: St John the Evangelist Church Please join us for 5:30 mass followed by Pot Luck gathering in OLQA gym. Please bring your favorite appetizer or snack to share. Bring your basketball, too! "Any country that accepts abortion is not teaching its people to love but to use violence to get what they want." ~ Mother Terersa. Anyone interested in fighting this proabortion culture. Bring your talents. Come join us. Pro-life meeting April 25 in Upper Room in Barn at 7:30 p.m. for more info call 1.631.801.2306. Are you an adult interested in receiving the Sacrament of Confirmation? For many reasons, adults may not have received the Sacrament of Confirmation. If you have not been confirmed, please let us help you!!! If you are a baptized Catholic, but have not been fully initiated, we offer a process for those who desire to receive the Sacrament of Confirmation. Meetings will begin right after Easter. Sign up today by filling out this simple form to enroll online. For adults who desire more information, contact Father John at jsureau@sjecm.org or leave a message at 631.878.0009. Meetings will begin during Lent and continue to the celebration of Pentecost in June. Now through April 29, please drop off your shoes that still have life in them to better someone else’s life. Please drop them off in the church entrance. What can your used shoes do? Everyone deserves a good pair of shoes. Every day children are prevented from attending school, adults are unable to work. Walking becomes unbearable. A new pair of shoes provides relief in many developing nations around the globe, in times of disaster, and helps bridge the economic gap in the United States and Canada. The shoes you no longer want create opportunity many need The micro-enterprise model of Soles4Souls provides individuals the ability to start small businesses by providing a steady supply of high-quality, low-cost product; a powerful and sustainable way for people to lift- themselves and their families out of poverty. Shoes keep people healthy, happy and thriving. In many developing nations, walking is the primary mode of transportation. Every day millions are exposed to unsanitary conditions that lead to diseases. These diseases may lead to sickness, even death. They also keep children out of school leaving them without an education and continuing the cycle of poverty. With your help, we can provide a life-changing solution: a good pair of shoes. Don’t throw away a good opportunity. Americans throw away more than 70 pounds of textiles per person per year. The EPA estimates only 15% is donated or recycled. Since 2006 we’ve kept 51 million pounds of shoes and clothing out of landfills and instead created opportunities for people in need around the globe. Save the date: Vacation Bible Camp at SJE. Monday, July 22 – Friday, July 26 from 9 a.m. to noon each day. Get ready for another amazing summer adventure that includes times of great faith, fun and friendship! REGISTRATION DEADLINE: July 1. You will receive an email with additional information prior to the first day of VBC. Right now, we are in the planning phases and need help in planning and organizing VBC! We are need people who are good at arts and crafts, food, games, organizing, leading a skit and the like! There’s something for everyone! For more information, contact Michelle Pirraglia at mpirraglia@sjecm.org or Fr. John at jsureau@sjecm.org. See the bulletin for an official registration form. The Catholic Action Network, the official voice of the Catholic Church in our state, was formed by the Catholic Bishops of New York. The Catholic Action Network website is a powerful tool that is designed to educate and inform us on issues concerning important topics such as Religious Freedom, Respect Life issues, Marriage and Family, Human Services, Criminal Services and Healthcare. All parishioners should visit this website and sign up to receive important alerts and reminders about writing letters and sending information to local legislative leaders. It is very simple to “Join the Catholic Action Network” here. Sinners welcome and wanted. Come and celebrate the Sacrament of Reconciliation! Daily after the 7 a.m. and noon masses and after the 8 a.m. mass on Saturday (Please wait in the lobby of the convent building Saturdays from 4 p.m. to 4:45 p.m. Saturdays from 7 p.m. to 7:15 p.m.* (Spanish/English) Sundays from 5 p.m. to 5:15 p.m. It is a good time for each one of us to get back in the routine of going to the sacrament of Reconciliation. At St. John’s, we celebrate the Sacrament of Reconciliation every day. As with the weekdays, please wait in the north transept. Of course, you can - and should - approach one of our parish priests whenever you want to celebrate the sacrament. You can also call the parish office to make an appointment. The Art & Environment ministry invites you to Journey Through Lent with us here at SJE! Lay your burdens, fears and petitions before the Lord. You may bring a rock (one small enough to fit in the palm of your hand) to place in a special display on the sanctuary steps. Each week we will add more rocks, as we pray together. "Do not let the past disturb you, just leave everything in the Sacred Heart and begin again with joy." ~ Saint Teresa of Calcutta The tradition of First Friday is part of the larger devotion to the Sacred Heart of Jesus in the Catholic Church. While the context for the start of First Friday devotions is different than our times today (this originated in the 1600s and 1700s), I think there is a value to our focus, particularly on First Fridays. On Friday, April 5. We will pray prayers and the Litany to the Sacred Heart after the 7 a.m. and noon masses and at 6:30 p.m. The East End Holy Hour will now move to the First Friday of each month. The opportunity to receive the sacrament of Reconciliation will continue to be offered after the 7 a.m. and noon masses and around the East End Holy Hour. Let’s pray that for those who are able and so desire, this devotion may inspire a deeper conversion to the ways of the Lord. Beginning in Lent, we will offer additional time for Eucharistic Exposition in Seton Chapel from 8 a.m. to 11:45 a.m. (taking place in between our two daily masses). Let’s pray that for those who are able and so desire, this devotion may inspire a deeper conversion to the ways of the Lord. Jesus is quite clear in his message: "bear fruit or be cut down." This Lent we are called to cultivate and fertilize our spiritual lives through prayer, fasting, and almsgiving. Through your almsgiving you are performing a good work; far greater than you think. Know that your nickel, dime or quarter is multiplied by the coins placed by others in the St. Vincent De Paul poor box. For assistance email depaul@sjecm.org or contact Alex Finta in the parish Social Ministry Office. Ala-teen is for anyone, aged 12 through 18, who has been affected by someone else’s drinking or addiction. Two adult, trained members of Al-Anon are present at every meeting. Come learn healthy ways to deal with your loved one’s addiction in a safe and confidential environment. Meetings are on Monday at 7 p.m. at St. John the Evangelist Church at 25 Ocean Ave., Center Moriches. Meetings will take place upstairs in the Red Barn (in the parking lot of Our Lady Queen of Apostles School). Contact MondayCMAlateen@gmail.com for more information. Alcoholics Anonymous: Offered daily at 6:30 a.m. and Tuesdays at 7:30 p.m. in the Red Barn meeting room. ALANON meets on Thursdays at 7 p.m. in the Red Barn meeting room. AL-A-TEEN on Mondays at 7 p.m. in the Red Barn upper room. AA men’s group meets on Sundays at 8 a.m. in the Red Barn meeting room. Extraordinary Ministers of Holy Communion assist the priest and deacon at mass. At St. John’s Extraordinary Ministers serve at Sunday liturgies and, when possible, daily liturgy. For Sunday liturgies, ministers are scheduled according to their availability and the needs of the parish. How Do I Become an Extraordinary Minister? 2. You must meet with Fr. John for a brief meeting. 3. You must attend one of the diocesan training sessions. If you wish to also bring Holy Communion to the sick and homebound, you must attend a separate “Part B” training session. Diocesan Training: Thursday, May 23 from 7 p.m. to 10 p.m. St. Elizabeth, Melville. St. John the Evangelist would like to welcome home the new Cub Scout Pack #1227. Our new pack aims to serve both the community and the environment, while enriching the lives of boys from kindergarten through fifth grade, in a safe, fun-filled, learning environment. Don’t let a kid you know miss out on this great opportunity! Membership applications are now being accepted. Please email cubscoutpack1227@gmail.com for more information. Beginning this Lent, we will begin the pray the Liturgy of the Hours more frequently at SJE. You may have noticed this in some of our literature about Seton Chapel. We pray the Liturgy of the Hours to unite our prayer with the Church that seeks God at all times. There is a certain ritual to the Liturgy of the Hours that involves our posture (sitting and standing), our voices (in praying the psalms), our listening (to the Word of God). Some of us pray the Liturgy of the Hours regularly. This is wonderful. I hope you can help us in establishing this rhythm of prayer at SJE. We will pray the Liturgy of the Hours in the Church on Saturday at approximately 6:15 p.m. and on Sunday at approximately 6:45 p.m. in Our Lady’s Chapel. Booklets will be provided for you. During the week, we will pray the Liturgy of the Hours in Seton Chapel beginning and ending our times of Exposition of the Blessed Sacrament: Monday—3 p.m.—Daytime Prayer Monday—8:45 p.m.—Night prayer Thursday—1 p.m.—Daytime Prayer Thursday at 4:45 p.m.—Evening Prayer Friday—8 a.m.—Morning Prayer Friday at 11:30 a.m.—Daytime Prayer For these times, we will use books of the Liturgy of the Hours that will be provided for you. (NOTE: It will take us each a little time to get used to these—so always have patience!!!!) You do not need to come to each of these times of prayer—come when you can! You can pray the Liturgy of the Hours also by using the ibreviary app or visiting universalis.com. Here’s how it works: St. John’s new Children’s Liturgy of the Word program is structured to help children hear God’s message in a way that is more understandable for them. On Sundays, children will be invited forward after the Collect (opening prayer) at the 9 a.m. mass. They will be sent forth to the school building — accompanied by our catechists and guides—and celebrate the Liturgy of the Word (first reading, psalm, gospel and homily) in the school. Then they will return after the universal prayer and remain with their family for the remainder of the liturgy. God speaks to us in many different ways—and we hear that word differently too! The Children’s Liturgy of the Word is one way we can better bring God’s word to our young people. Check this space in the bulletin for more information each week. Want to join this exciting new ministry? Email cltw@sjecm.org and find out more about all that is on the horizon for our children at SJE! Please note: There will be no CLTW on Easter Sunday. Mondays from 3 p.m. to 9 p.m. Thursdays from 1 p.m. to 5 p.m. During Lent: Fridays 8 a.m. to 11:45 a.m. in the Seton Chapel in the Convent Building. SJE is privileged to have Exposition of the Blessed Sacrament on Monday evenings and Thursday afternoons in Seton Chapel. (Seton Chapel is located in the Convent Building, the white house south of the school building.) Over twenty five parishioners have committed to an hour and many more are making time to pray on Monday evenings and Thursday afternoons. WE ARE IN PARTICULAR NEED ON MONDAY AFTERNOONS from 4 p.m. to 5 p.m. and 5 p.m. to 6 p.m. Would you be willing to give an hour of your Monday evening (particularly) or Thursday afternoon to sit in the presence of the Blessed Sacrament? If so, can you please contact Fr. John at jsureau@sjecm.org or call at 631.878.0009. As Catholics, we are called to pray for and minister to the sick and the ill. At St. John’s, it one of the ways we bring the Light of Christ to those in need. Those who are seriously ill or facing surgery, as well as those in danger of death, should receive the Sacrament of the Anointing of the Sick. Please call the Parish Office and ask for one of our priests. If you or a family member are ill and wish to receive Holy Communion, please contact the parish office. One of our parish priests will come visit you and an Extraordinary Minister of Holy Community will then visit each week. We pray for the sick and the homebound at mass each week. To add your name or the name of a loved one, please contact the Parish Office at 631.878.0009 or email to rectory@sjecm.org. MINISTERIOS Y SERVICIOS: Dirección de la Oficina: 25 Ocean Ave. Center Moriches, NY 11934. Teléfono: 1.631.878.0009 Horas especiales para asistencia en español: Martes 7 p.m. - 8 p.m.
Bautismos: Segundo Domingo a las 2 p.m. en la Iglesia. Clases pre-bautismos es el tercer miércoles de cada mes. Locación – en el granero (la casa roja) a las 7 p.m. Favor de traer el certificado de nacimiento del niño dos meses antes del bautismo: Requisitos: 1. Certificado de nacimiento del niño o/de la niña. 2. Certificado de inscripción de su Parroquia (padres y padrinos) 3. Los padres deben traer estos documentos a la oficina de San Juan para fijar las fechas de charla pre-bautismal (OBLIGATORIA para padres y padrinos) y la fecha del Bautismo. Matrimonios: Parejas que planean su matrimonio, deben hacer una cita con uno de los sacerdotes antes de su boda. De este modo tendrán suficiente tiempo para recibir las instrucciones prematrimoniales y obtener los documentos necesarios. Para más información llame al oficina. Exposición del Santísimo (adoración): Jueves, noon - 8 p.m.
Renovación Carismática: Viernes 7 p.m. en el granero (la casa roja). Templos del Espiritu Santo (Grupo de Jovenes) cada sabado a las 5 p.m. en el Red Barn. Tenemos un grupo nuevo en nuestra parroquia, Los Templos del Espiritu Santo! Este grupo quiere ayudar y server los jovenes en la communidad acrecer en sus relaciones con el Señor Jesus. Los Templos del Espiritu Santo reune cada sabado a las 5 p.m. en el Barn empezando el 19 de enero. Habla con Kenia por mas informacion: keniax365574@gmail.com. Open Mondays from 6:30 p.m. to 7:30 p.m. Thursdays from 1 p.m. to 2 p.m. Shopping list: Canned vegetables, tuna fish, chicken in a can, rice, instant potatoes, beans, pork and beans, pasta and pasta sauce, canned foods and meats, toilet paper. Thank you for your continued generosity. Remember this list when you go shopping. *Please note: We will only be able to produce tax forms for those who are formally registered and use envelopes (or, eventually, electronic giving). To register, contact the Parish Office at 631.878.0009 or email to rectory@sjecm.org to make an appointment with a member of our Pastoral Team. You will no longer be able to register by coming into the office without making an appointment. Did you know that St. John the Evangelist bulletin is printed free of charge each week? Not only that, our parish receives a part of the advertising commission. So please frequent the fine establishments that advertise in our bulletin! If your business could use a shot in the arm, consider advertising in the bulletin. Each weekend, the nearly 1,400 people who attend mass at St. John the Evangelist—most of whom live and shop in the Moriches, Mastic, Shirley, Eastport, Speonk and Remsenberg area receive or view our bulletin online. It’s an easy way to reach thousands of area families with information about your business. For more information on how to advertise in our bulletin, call The Church Bulletin Company at 631.249.4994. Above All Fence + Angelo and Lillian Rollo + Baby Moon Restaurant + Bay Gardens + Center Moriches Veterinary Hospital + Century 21 Cor-Ace Realty, Inc. + Crossfit Kryptonite + Dammeyer Construction Company + Desi Masonry Products + Dun Rite Appliance Company + East End Sign Design + Environmental Assessment and Remediations + Jet Sanitation Service Corps + Law Office of Elizabeth Harrington + Lillian's Hair Studio + Moriches Bay Deli + Moriches Bay Diner + Moriches Bay Realty + Mr. and Mrs. Robert Smith + Mrs. Rose Bente + Out East Therapy of NY + ProFlame Inc. + REP Electric + Rico's Clothing + Roy Probeyahn and Sons + Swezey Fuel Company + The Garzero Family + The Sureau Family. All State Center Moriches, Annette Eaderesto, Bridgehampton National Bank, CORE BTS, Enes Carnesecca and Jerry Frunzi, Grammas Consultants, John and Helen May and Family, John and Joseph Perno and Family, Matt and Kelly - The Pomara Family, Megatom Pools and Spas, Plum Cottage Interior Design, ProFlame Inc., Queen of All Hearts K of C, SJE Ministry of Consolation, The Lapham Family, The Matthews Family, The Parks Family and Twin Ponds Cabinetry. Center Moriches Fire Department, Lund Valve Testing, M & M Travel, Pinto Pools, REP Electric, Swezey Fuel Company. Every Friday at the Knights of Columbus. Doors open at 6:30 p.m. First game is 7:30 p.m. $2,000 in prizes. As Long Island continues to increase in its cost of living, more and more individuals and families are being squeezed out of permanent housing. After numerous parishioners have reached out to share their experiences, I figured that I would share the mindset of our Street Ministry on what we feel is the best way to facilitate and foster relationships with the homeless. The question of what the responsible gift is to give to a person who is homeless is a difficult one. If I have the time, I’ll hand out a gift card or even buy them a meal at the most convenient restaurant. We would obviously never give money out to someone living on the streets right? Sure, the stereotype of a person who is homeless is addicted to drugs and alcohol but that isn’t always the case of course. Pope Francis could not be any clearer when giving advice on what to give someone who is homeless. Not only does Pope Francis say it is NOT our place to judge on where the money is spent but we should also look them in the eye when speaking and giving them money. Ultimately, do what feels most comfortable. Even if you do not have any materiel donations to give, just by speaking with them you are restoring their dignity. There are essentially three phone numbers that you will want to know of. 1) Suffolk County Department of Social Services has an emergency phone number (631.854.9100) you can call during the weekdays after 4:30 p.m. and weekends at any time. They will provide a bed in a shelter and transportation to it. However, many shelters are infamous for being unsafe and/or unhealthy so do not be surprised if the person is reluctant to go and would rather sleep outside. 2) Maureen’s Haven (631.727.6831) is a non-profit, interdenominational organization that houses the homeless in churches on the East End of Long Island during the winter months and provides other resources throughout the year. 3) St. John the Evangelist (631.878.0009 ext. 119). The Street Ministry provides hot meals and clothing every Thursday night. We also aid with case management, food, clothing, toiletries, etc. If there is someone who is in the area that you know of and is open to receiving these types of services, please give them the SJE phone number and tell them to leave a message with their name, phone number they can be reached on and what they are looking for help with while being as detailed as possible (say sizes of clothes and types of clothing). The most important concept to remember is safety! Never drive anyone anywhere and always try to be with someone else you can trust. This advice is for those who have met a person who may be homeless outside of a clothing store or supermarket so don’t go trekking in the woods looking for a “tent city.” If you have any questions or would like to volunteer, please let Alex Finta know by email afinta@sjecm.org or call 631.878.0009 ext. 119. The Street Ministry is continuously serving 60-90 individuals and families every Thursday night, many of which are homeless. We are tremendously grateful for all of the donations that continue to allow us to do this work. We are in need of the following: Financial donations are most welcome as they allow us to purchase items as they are needed. Checks may be made payable to St. John the Evangelist and donations can be left in the Parish Office. We would also be most grateful for gift cards to places such as Dollar Store or Walmart so we can obtain these items. The SJE Street Ministry could use the following items: Small size toothpaste, shaving cream, razors , women’s socks. If you're interested in cooking a tray of food for the Thursday night run or have any questions, please email Corinne Bernath at bernath52194 @optonline.net or Alex Finta at afinta@sjecm.org or 631.878.0009 ext. 119. This past Sunday, St. John’s Family Life Ministry hosted an appreciation breakfast for our local corrections' officers and their loved ones. Once again we thank our boldest law enforcement officers who are faced with a tough job to serve our community. Once again we want to say to them: Thank you! Spring: Holy Mary’s meals run/walk. What is the Family Life Ministry? How Can I Join? The Family Life Ministry at St. John the Evangelist seeks to connect families within our parish through fun, thoughtful service opportunities. Calling to mind that we can do no great things, only small things with great love, we hope to find the joy in serving others through coming together. Through our service we seek to strengthen our sense of belonging to our parish, helping us to come to know those around us by name. We believe in the great power of our families and we call to mind the words of Pope Francis that, “Families transform the world and history.” For more information, Please contact: Linda Filosa email: Lindalos3@optonline.net or cell: 631.559.7227. Items Needed: ZipLock bags for packing - large and small. Toothpaste, toothbrushes, mouthwash, floss (small tubes). Deodorant roll on and bar soap. Disposable razors, male/female shave gel or cream. Female hygiene products. Chapstick, lip balm. Shampoo, conditioner (small or travel size). Body lotion, sunblock (small or travel size). Hand sanitizer (small or travel size). Hand towels (white or tan). Bug repellent wipes, small pump spray. Q-tips, baby wipes, powder. Tylenol, Midol, Motrin, Advil (small bottle or travel size). Cold/sinus medication, saline spray (small or travel size). Anti-fungal ointment (small tube or travel size). Triple antibiotic ointment (small tube or travel size) *Band-Aids' / safety pins. Warm socks, scarves, pull on hats, gloves, hand and foot warmers. Batteries - AAA and AA, clip on reading lights. Duct tape. Glow in dark bracelets. Tuna fish—soft pack / small can, pull top. Beef Jerky or Slim Jims. Protein, granola, breakfast bars, trail mix, bagged nuts - all varieties, dried fruit. Peanut butter and jelly – plastic only, 20 oz or smaller. Protein powder. Mac and cheese individual servings cups. Breakfast cereal individual serving cups. Instant oatmeal, soup (pop-top cans). Crackers and cookies — individual hard box size. Hard candy. Water-flavor packets (individual size), Gatorade powder mix or packets, cards, puzzle books, books, crossword puzzles. Small Nerf balls, Rubik's cubes. Envelopes, small pads, pens or a personal note from you to our hero servicemen and women! Absolutely Aerosol items. Join us Monday, April 29 in the Red Barn at St. John the Evangelist Church in Center Moriches. The meal will consist of a home-made dinner from 6 p.m. - 8 p.m. If you are in need of toiletries or clothes, please let a volunteer know! If you are interested in cooking a meal, please reach out to Alex Finta at afinta@sjecm.org. SJE Parish Social Ministry will be making Easter baskets for children involved with the Butterfly Effect Project this season. We are in need of the following: chocolate eggs, marshmallow peeps, jellybeans, chocolate bunnies. Other Easter themed candy donations can be dropped off to the designated box in the main entrance of the church or parish office during normal business hours. We are in need of the following: Hand shovels, small shovels, gloves, watering cans. If you have any of these in good condition, please drop them off in the wheelbarrow in the main entrance of the church. If you are interested in getting involved with the garden, reach out to Alex Finta afinta@sjecm.org or 631.878.0009 ext. 119. "Serving Justice Excellently": There is such a great need for service in the life of our parish and often a huge number of young people who want to help those in need. This new Service Corps is one way to make this connection. Here’s how it works: Any middle school, high school and college-aged student sends their contact information to Fr. John at jsureau@sjecm.org. You do not need to already be a part of Life Teen or Middle School Youth Ministry to be part of the Service Corps. As requests for help come from or come into our parish, you’ll be contacted to see if you can help. If you can help with a particular project, great! If not, no problem. You’ll be contacted for the next one! It really is that easy. Sign up today by emailing Fr. John at jsureau@sjecm.org. Our parish, overall, and our parish social ministry is here to help - specifically, are here to serve you in any way we can. If you are in need, please reach out to us at St. John’s. A great place to start is the Outreach Office coordinated by Alex Finta and our amazing volunteer ministers. Our Outreach Office is located in the Red Barn. Please call to make an appointment so we can connect you to our services here at SJE or link you to other services. NEVER BE EMBARRASSED to reach out. We may not be able to address every need. If we can’t, we’ll try to connect to someone who can assist you. Please always reach out to us here at SJE! Food Pantry: Monday evenings: 6:30 p.m. to 7:30 p.m. and Thursday afternoons from 1 p.m. to 2 p.m.
Thrift Shop: Wednesday: 9 a.m. to noon. This ministry reaches out in a variety of ways to those who have recently faced the death of someone they love. The wonderful women and men who offer their time in this ministry—as well as our office staff—do a wonderful job in ministering to those in need. We are in need of more help as we seek to grow the Ministry of Consolation. We are in need of parishioners to come forward as: Liturgical ministers (greeters, servers, extraordinary ministers and readers) cake bakers (willing to make a small dessert for a family who has suffered a loss), Worship aid makers (able to update our mass program for each funeral, involves light computer and possibly copier use), organizers (able to assign tasks to those who have offered their time), and companions (meeting with a family who has suffered a loss to assist with choosing readings, hymns, etc. and being present on the day of the funeral). If you’re able to help or want to find out more information, contact Fr. John at jsureau@sjecm.org. Prison Families Anonymous welcomes anyone who now has, or ever had, a loved one involved in the juvenile or criminal justice system. At meetings, we share our experience, strength and hope. Here we offer information and assistance in navigating the criminal justice system. We encourage members to exchange phone numbers and when possible to carpool to upstate prisons. Prison Families Anonymous (PFA) Life becomes more difficult and stressful for family and friends when a loved one becomes incarcerated. Relationships and responsibilities can become strained and the dynamics within the family often change dramatically. The PFA support group provides a safe, non-judgmental place where those in similar situations can connect with each other. It provides compassion, support and information to family members during their very difficult times. The Prison Families Anonymous support group meets on the 2nd and 4th Tuesday of every month starting at 7:30 p.m. at the Community Presbyterian Church at 1843 Deer Park Avenue Deer Park, NY 11729. Northeast corner of Deer Park and Lake Ave. Use the rear door closest to parking lot. Honoring couples married fifty years or more. Sunday, May 5 at the Church of St. Rose of Lima, Massapequa Liturgy will begin at 2:30 p.m. Registration must be received by the Office of Worship by April 15. For more information, call Suzanne at 516.678.5800, ext. 207. Parish Social Ministry Memorial Cards are available. This is one way to honor one who has passed away. These cards allow you to express your sympathy while also benefiting the less fortunate in our local community. Each month we will celebrate mass for all those remembered via the memorial cards. The names of those remembered will be periodically included in the bulletin. The memorial offering made will benefit Parish Outreach, our Homeless Initiative, Food Pantry and Thrift Shop and the many works of Parish Social Ministry at SJE. To obtain a parish social ministry memorial card, visit the Rectory Office during regular hours or Parish Outreach from 10 a.m. to 3 p.m. Monday through Friday. For more information, contact the Parish Social Ministry Office. ¿Usted o alguien que usted conoce tiene más de 7 años y necesita los Sacramentosdel Bautismo, la Comunión o la Confirmación? Por favor, póngase en contacto con Gregorio Chavez en p-chavez@hotmail.com para el próximo paso a seguir. Gracias. The Totus Tuus men's group needs you! We are looking for young men, bachelors, married men, older men and anyone somewhere in between. Join other men from your parish for coffee, lively discussion and applying our faith to real life to living our Catholic faith today. The men's group meets in the kitchen of the Convent (the white house) every Saturday at 9 a.m. Hope to see you there! You’re invited! For more information, please contact Fr. Michael at mplona@sjecm.org. See you there. Sunday night is your night. 5:30 p.m. with a youth mass from 7 p.m. - 8:30 p.m. (Youth Ministry Night). Doors open at 6:30 p.m. Every Sunday night at SJE. Any questions? Please email Mike at Mclauberg@sjecm.org. For all high school teens. Bring your friends. Basketball and volleyball. Great people. Great food. Great faith. Meets from 7 p.m. to 8:30 p.m. each Sunday (doors open 6:30 p.m.) at OLQA gym after the 5:30 p.m. Youth mass. Call 631.878.0009 ext. 5 or email: Mclauberg@sjecm.org. All high school teenagers are invited and we encourage you to bring your friends. Each week, we provide envelopes for specific areas of parish life. This allows us to focus our stewardship in certain areas. Ideally, we would love to have a strong regular collection which would make these envelopes unnecessary. Next week, please make use of the Parish Improvements envelope and/or place your offering in the regular collection. Do you love to sing? We are always looking for members for our choirs from our community. If you have a passion for making music with us at Church, please join us. You can contact one of our directors or reach out to Andrew McKeon at 631.878.0009 or email to music@sjecm.org. Reading I: Acts 5:12-16 The Apostles perform many signs. Second Reading: Revelation 1:9-11A, 12-13, 17- 19. Son of Man appears to John, instructing him to write his visions. Gospel: John 20:19-31 Doubting Thomas. Reading I: Acts 10:34A, 37-43. Peter recounts the deeds of Jesus. Second Reading: Colossians 3:1-4 or I Corinthians 5:6B-8. Celebrate the feast with unleavened bread. Gospel: John 20:1-9. Mary Magdalene finds the tomb empty. Peter sees and believes. Our Newly Baptized: Maeve Ann Trainor, Joseph Alexander Figueroa, Gianna Rose Baffa, Michael Ryan Beeker, Alessia Nicoletta Eaderesto, Dominic Beneditto Emanuele, Isabella Grace Emanuele and Madison Shea O’Connor. Are You Having a Child? I want to get my child baptized!!! How great is this!!! What a wonderful celebration for our parish when parents bring their child to Church to celebrate the Sacrament of Baptism. First, contact the Parish Office at 631.878.0009 or via email at rectory@sjecm.org to meet with one of our parish priests or deacon. Both parents will need to attend this meeting. Second, you will attend a Baptismal Preparation Class led by our parish staff. You will sign up for this class at the meeting with one of our parish’s priests or deacon. Third, Baptisms are generally celebrated in English on the 1st, 3rd and 4th Sundays and in Spanish on the 2nd Sunday of each month. You will select this date at your initial meeting. Recently Married: Justin Danford and Brittany Paparatto. Rudolph Lavalozi and Marybeth Ann Valenti. We love to celebrate weddings at SJE! If you have plans to get married, contact St. John’s ASAP to meet with one of our priests. At this meeting, you can: Select a date, learn about marriage preparation, i.e. Pre-Cana and find out why marriage makes a difference - and much more! To make an appointment, contact the Parish Office at 631.878.0009 or email to rectory@sjecm.org. If you would like a particular priest to preside at your wedding, it might best to contact him using the email addresses on the front cover of the bulletin. Entrance antiphon, recent funeral masses: Scott Sinclair, Michael Milano, Josephine F. Sferrazza, Josephine Marie Tekula, Sarah M. Silon, Jerome Blennau, Sylvia J. Avitabile, Thomas Joseph DeVoe, Rose Mary Fazio, James Joseph Heptig, Lucy Vitale, Maria T. Stich, Joseph W. Belford, Madeline Boos. Those wishing to have a mass said for a loved one may stop by the rectory. If you’re able to help or want to find out more information, contact Fr. John at jsureau@sjecm.org. If you wish to remember a loved one – living or deceased - at one of our daily masses, please visit the rectory. Opportunities for remembering a loved one at mass in the weeks ahead, include: Helping our parish: altar bread and wine for the month - an offering of $150 is requested: Altar candles are $25 per week. “We have loved them during life, let us not abandon them in death” When we have a mass said in memory of a friend or loved one, we follow these words of St. Ambrose and perform one of the Spiritual works of Mercy. To have a mass said for a friend or relative, visit the Parish Office. “In this you rejoice, although now for a little while you may have to suffer through various trials...” 1 Peter 1:6. Names will be announced at mass the first week they are submitted and will remain on this list for approximately four weeks. If you would like a loved ones name placed under Prayers for the Sick, please call the rectory at 631.878.0009 or email rectory@sjecm.org. Eternal rest grant unto them, O Lord, and let perpetual light shine upon them. Please say a prayer for the following priest and seminarian or intention each day this week. 4/22- Fr. Jude T. Dioka / Sem. Dennis Gannon. 4/23- Fr. Gennaro J. DiSpignio / Sem. Rev. Mr. Nelson Marquez. 4/24- Fr. James T. Donovan, SJ / For Priests. 4/25- Fr. Richard R. Donovan / For the Youth of our Diocese. 4/26– Msgr. Peter C. Dooley / For Deacons. 4/27– Msgr. John R. Dreasen / For Vocations. 4/28– Fr. James F. Drew / For Discerners. Margaret Meehan, Virginia Fano, Jennifer Lynn Peck, Dawn Petersen, Grace Cox, Kathleen Geiger, John Bell, Jerome Blennau, Vivian Orofino. In your generosity, please pray for our parish family members serving abroad in the military. Family members, please call the rectory to add or update your loved one’s status if they have returned. If you would like to have someone serving in the military placed on the list above (or if a name should be removed) please contact the Parish Office at 631.878.0009 or email rectory@sjecm.org. Church Cleaners Needed: Do you like to clean? Love things neat? Can’t stand things out of place? Want everyone to shine and look good? We do too! We are looking for parishioners who would be willing to assist with a weekly cleaning of the church building which would include light mopping, sweeping, window cleaning, and checking on hymnals and the like in the pews. The cleaning will ideally take place on Thursday or Friday afternoons. We are looking for individuals, couples, friends or even strangers to form cleaning teams so each group would work one or two days a month. If interested—or know someone who should be interested—contact Fr. John at 631.878.0009 or email to jsureau@sjecm.org. St. Zita felt like she could not possibly wash one more window or dust one more piece of furniture, she imagined she was doing her work for God, and suddenly the housework wasn’t so boring anymore. Pray to St. Zita for the energy and patience to help with chores. Outreach Volunteers Wanted: Now that the Outreach Offices of Alex Finta and Sister Ann, are on the second floor of The Barn, the bell can not be heard when it is rung. We do not want people to turn away thinking that we are not here. We have a few volunteers but not nearly enough to fully act as receptionists. What qualifications are needed? A willingness to answer the phone, take messages, make appointments, and wear a very welcoming expression on your face! What do you have to do to apply? Register for the Virtus training, fill out a background paper provided from us, and have your picture taken by Michael Walsh! Easy? Of course. When needed? Monday, Wednesday, Thursday, Friday from 10 until noon (one day is sufficient;) Or, Wednesday or Friday from 1 until 3 p.m. We are hoping that we might be able to have two people at a time—just so that they could have company. Can you give us 2 hours a week? If you can help, please call Sister Ann at 631.874.5654, ext 119. If Sister is not available, please leave a message and she will return your call. Thank you, and God bless you. Catholicism Initiation Assistants: Can you join the journey? As you can see, new groups are forming for the Christian initiation of adults and children. We are looking for men and women of our parish to accompany those who are seeking to become Catholic and complete their initiation. For more information, contact Suzan Fitzpatrick at rcia@sjecm.org or call the Parish Office at 631.878.0009. Are you a used-car salesman? The Street Ministry is looking for a used van/box truck that would help us to better serve our parishioners in need. The van would need to be in working condition. It would not be used for any kind of passenger transport. Have an idea? Know someone? Want to give the church a van/box truck? Contact Alex Finta, Associate Director of Parish Social Ministry at 631.878.0009 or email afinta@sjecm.org. Altar society: Do you love to iron and clean? Great with a can of starch? Would like to help SJE from your own home? We are in need of some new members for the SJE Altar Society. The members of the SJE Altar Society take care of our liturgical cloths and garments used at daily mass, Sunday mass and funerals. You can do this on your own time in your own home. We’ll work on a schedule for pick ups and drop offs. For more information, contact Fr. John at jsureau@sjecm.org or call 631.878.0009. Knights of Columbus: The Knights of Columbus are looking for new members. If interested, please contact Grand Knight Ken Swicicki at 631.375.7005. Thank you. Professionals needed: Parish Outreach is in need of a referral list. If any professional such as a social worker, psychologist, psychiatrist, teacher, nurse, attorney etc. would like to be a part of our referral list, please let Alex Finta at afinta@sjecm.org.